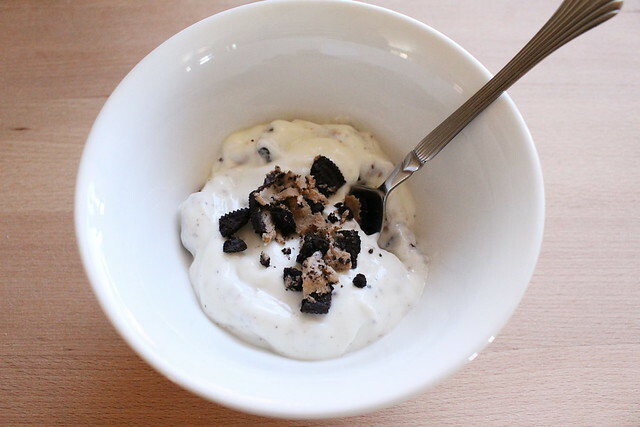 Last time I shared a Greek yogurt recipe, I mentioned that I can't be trusted with Nutella in the house. (I really can't). That's true of Oreos, as well. If you're one of those disciplined people with incredible resolve, I envy you... because that's not me at all. I guess there are some things that don't tempt me, but Oreos are not that thing. 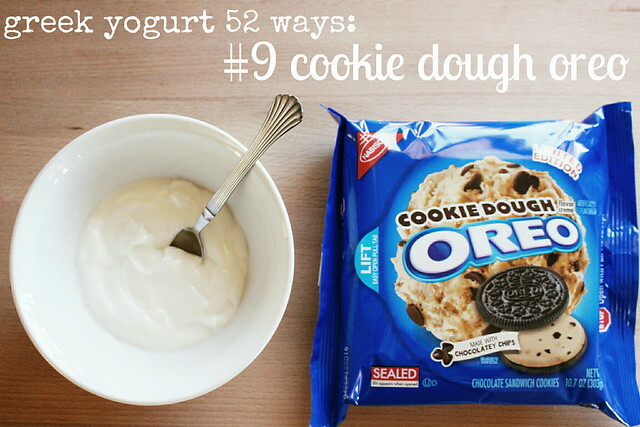 I had seen these limited edition cookie dough Oreos in the store, and thought to myself, "No! You'll be tempted to eat the entire package!" Well, friends. I bought them for this recipe (good excuse, right? ), and I've only eaten two. (I deserve a "Bravo!" sticker). To help me control myself, I threw them on the very top of my cupboard. I would have to grab a chair and climb on top of my kitchen counter to get them down. I mean. Think of how silly I would look- I'm embarrassed just thinking about it. Plus, I'm lazy. It would have to take a great, great desire to get me on top of my kitchen counter. Anyway! 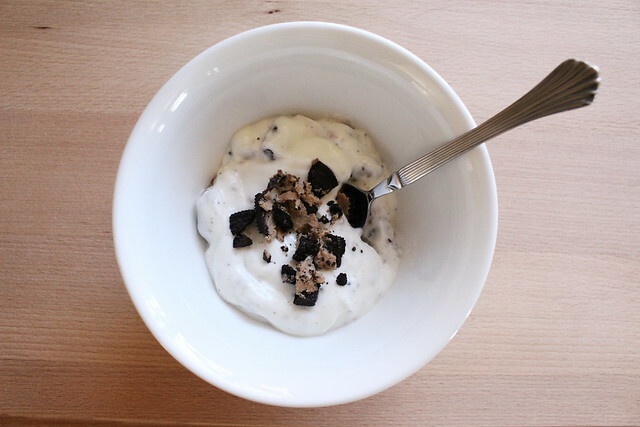 The two I ate were used in this Greek yogurt recipe. I bought them specifically for this recipe, remember? A simpler recipe than this one does not exist. 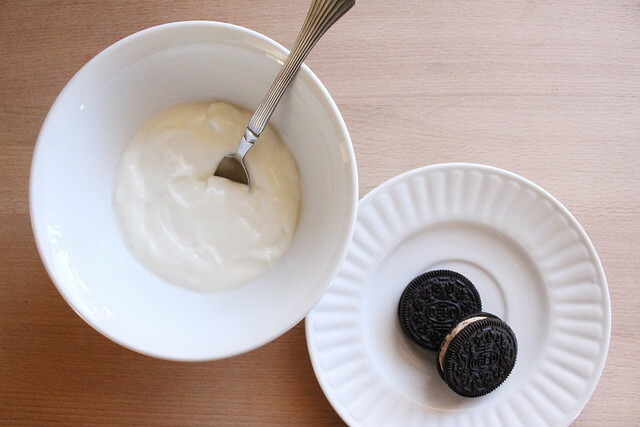 Smash your oreos... with a hammer! * Just kidding- I used the end of a butter knife. 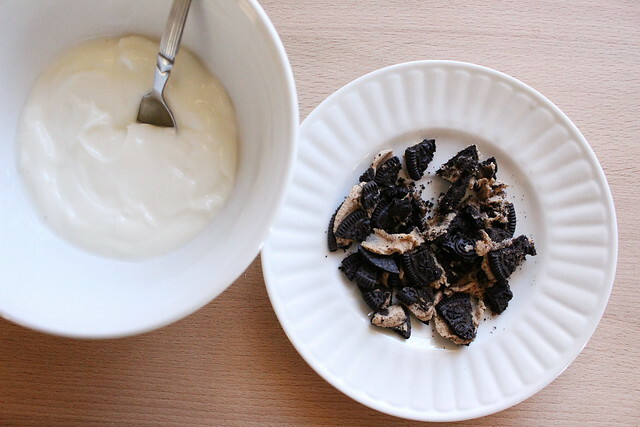 Finally, mix the oreos in with 1/2 cup of Greek yogurt (I used vanilla again). P.S. 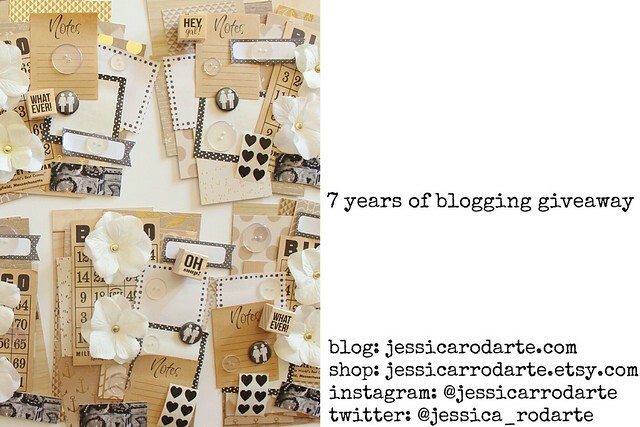 I am giving away 7 artistic kits for 7 years of blogging. Click here for more details. I'd be interested in a Red Velvet take on this project. Unfortunately, I do not have any ideas to share.